SunSHIFT is the world's first pre-fabricated modular and movable solar power plant for large-scale, on-grid and off-grid electricity generation. SunSHIFT overcomes the limitations of traditional static solar power plants and offers unprecedented optionality. 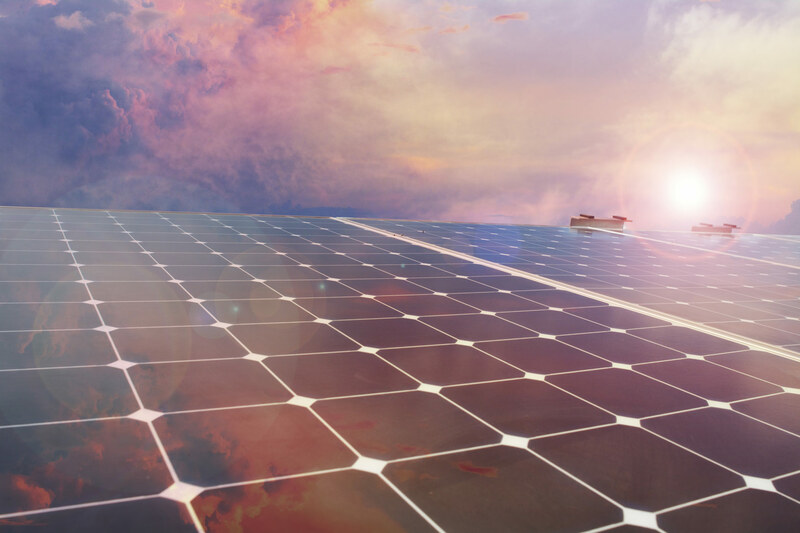 SunSHIFT reduces the time to energy generation by simplifying design and logistics, and reducing the site resources required to deploy a solar power plant. SunSHIFT's moveable design decouples asset life from energy contract duration. This allows economically viable short-term, large-scale solar deployments with no stranded asset risk. 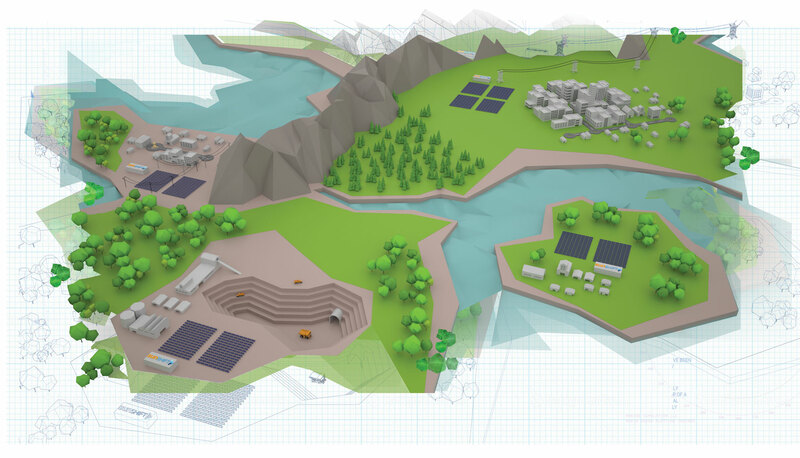 SunSHIFT allows solar power plants to be expanded, relocated, and augmented with energy storage and other energy resources. This enables deployment by purchase, lease, or power purchase agreement, all with return, buy-out, and extension options. SunSHIFT seamlessly integrates with existing fossil fuel energy sources to add additional capacity and lower the electricity cost. SunSHIFT can quickly scale with demand and the integration of energy storage technology. SunSHIFT solutions eliminate stranded asset risk. A hybrid SunSHIFT system offsets high-cost and carbon intensive fossil fuel derived electricity, and reduces exposure to fuel price volatility and logistical challenges. Energy securityis guaranteed at all times. SunSHIFT accommodates short-term, off-balance sheet deployments to satisfy typical energy contract durations and mine life flexibility. 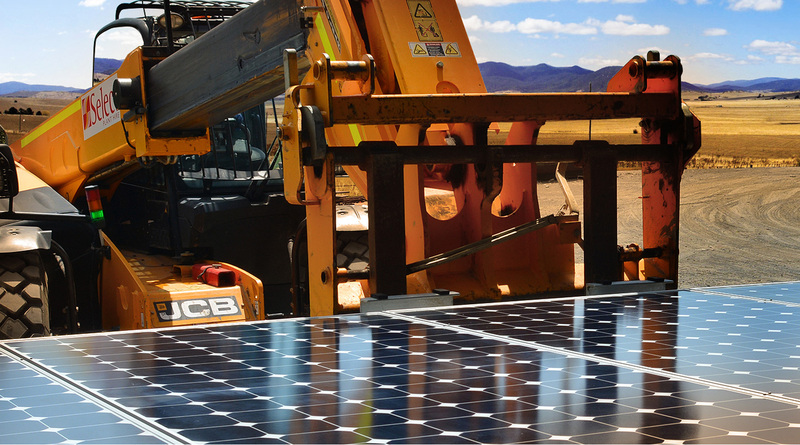 SunSHIFT maximises investment returns by accelerating solar power plant construction. SunSHIFT allows energy providers to supplement capacity when demands are uncertain or sporadic without being constrained by duration and future demand profile. SunSHIFT allows utility companies and developers to monetise idle land without long term commitments. SunSHIFT seamlessly integrates with existing fossil fuel generators to lower the electricity cost and reliance on imported fuel. SunSHIFT enables expansion and contraction with seasonal demand. Ruggedised pre-engineered and pre-fabricated Modules are combined to create 50kW Arrays and 1MW Blocks. Multiple Blocks can be quickly integrated with other energy sources and energy storage to create a dependable turnkey hybrid energy supply. The SunSHIFT Module is optimised and pre-fabricated 2kW unit, optimized for transport and installation. The plug-and-play Modules use durable and high efficiency panels to maximise energy generation and minimise footprint. SunSHIFT Modules are connected to form 50kW Arrays. The Modules can be electrically connected in series, parallel, or a combination, to optimise output. Each Array has its own string inverter. SunSHIFT Arrays are connected to form a self contained 1MW Block. Each Block has its own transformer. Blocks are added to reach the desired solar generation capacity. The Blocks are connected to a central electrical ring main. Solar, wind, fossil fuel generators, and energy storage are integrated create a dependable hybrid energy supply with the lowest possible energy cost. SunSHIFT reduces the cost of energy in hybrid power systems by reducing fossil fuel consumption. SunSHIFT is designed to allow incremental hybridization, gradually increasing solar capacity while maintaining energy security at all times. SunSHIFT has been designed with energy storage in mind. The optional energy storage component allows increased SunSHIFT capacity to offset nighttime fossil fuel use and improve energy system stability. Seamlessly integrates with generators to displace expensive fossil fuel during the day. Complete daytime fossil fuel offset while maintaining system stability and reliability. Solar penetration can be increased to the economic maximum, with the excess curtailed. SunSHIFT's award winning technology is enabled by world-leading engineering and technology partners. A world leader in durable, high-efficiency solar PV panels. A world leader in power automation hardware and support. A world leader in the pre-fabricated design and delivery of remote projects. ©SunSHIFT Pty Ltd. All rights reserved.